Jean-Michel is aged of 51 years and he is still one of the 'young' fancier in his area. He races since 22 years now. This family man is very involved in the political & community life of his hometown, which has a strong impact on the management of his loft. 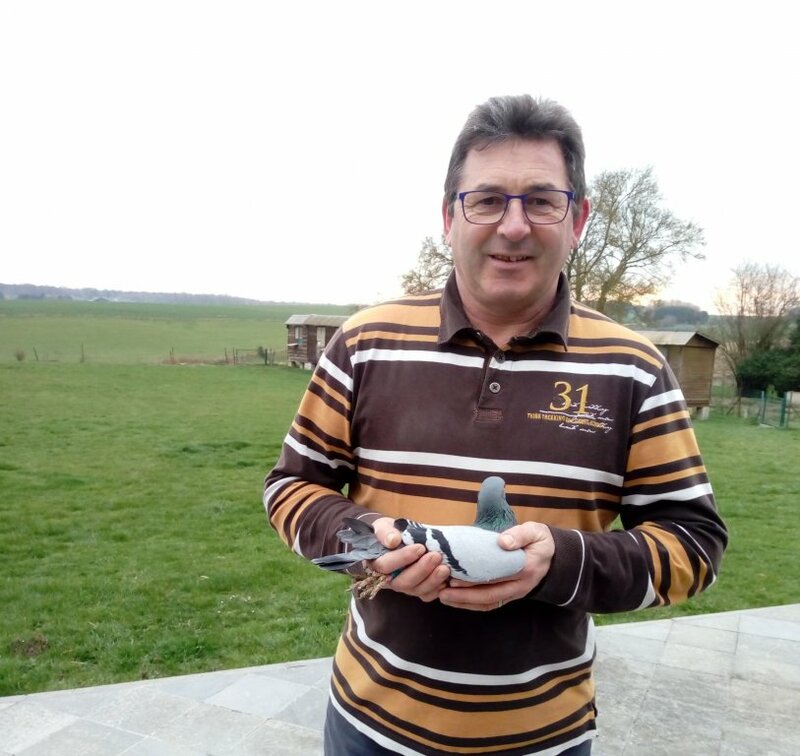 President of the pigeon club where he basket ('Le Biset' - Froidchapelle), he is also one of the alderman of his hometown and he has the finance, the education and the town planning at his charge. His daily schedule is really busy and his pigeons have to deal with it regarding the cares and the time he can give them. Seeing the results he recently booked, we are forced to admit that any management way can lead to success... as long as you got enough quality in your pigeon stock. 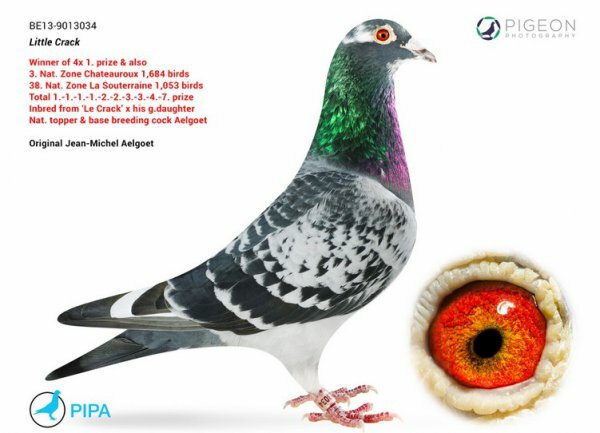 For 2019, Jean-Michel will race with 30 widowers, 60 youngsters and 10 breeding pairs. He race his birds on classic widowhood and pair them up in december when they raise a couple of babies. Before the racing seasons starts, the racers are coupled once again for a few days when he also start to take the road for the trainings. The racing season start early april. Jean-Michel think that the pigeons needs to be basketted early to teach them the right way but most of all, to take the good habit to get away of the massa. Indeed, his hometown is localized in the province of Namur but he has to race with the fanciers of the province of Hainaut, on the west. He is then racing at the short point like we already said but also at the extrem east. If you are a honnest fancier in Belgium, you will agree that it is the worst situation possible to race. However, Jean-Michel prooved that he was able to book some nice performances. He is mainly focusing on the sprint, the small and the great middle distance races, once again because of his busy schedule. In fact, he has no time to spent a whole day in his garden waiting for his pigeons. 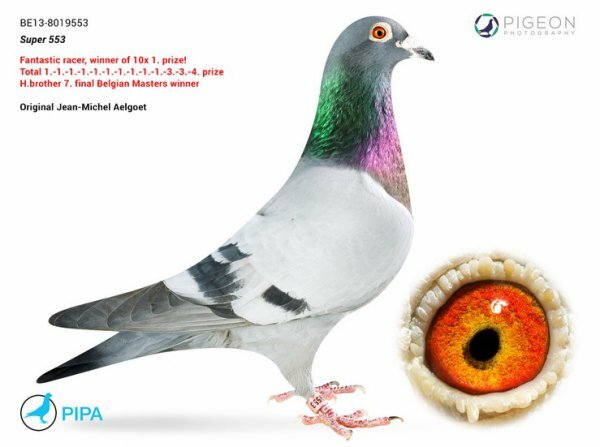 His main pigeon stock is based around some local origins. They have been raced and selected for more than 20 years on their abilities to book top performances but also because they had a very strong caracter. Throughout the years, he added some new blood with the Nihoul Father & Son, the Pourbaix, the pigeons from Gaies brothers, from Hilaire Surinx, from Van Hastel, from André Gillot, from the late Armand Motte and, last but not least, from the national champion Marc Capelle. His father is the BE11-9009665, a grandson of the 'Crack Albero' crossed on a 100% Nihoul hen. His mother is the BE11-9009605 who also bred the 7th final prize of the Belgian Master. She is daughter of a half-brother of the « 665 », so once again with the Nihoul blood crossed on some local strains. Is father is the BE08-9068238 'Crowet' who won a.o. the 1. Nanteuil 622 p., but also now a super breeder being father of a.o. 1. Argenton 949 p. but also 1. Moulins 1093 p. He is a son of the 54th national Marseille 2005. The mother of 'L'Argenton' is the BE12-1504469 from Michel Denis, a hen bred ouf ot some prestigious origins with a.o. Vandenabeele, Deno-Herbots & Thibaut-Boons. His father is the Crack BE06-9048617 who won a.o. 27. Nat. Bourges 22516 p., 1. Prov. Châteauroux 1646p., 1. 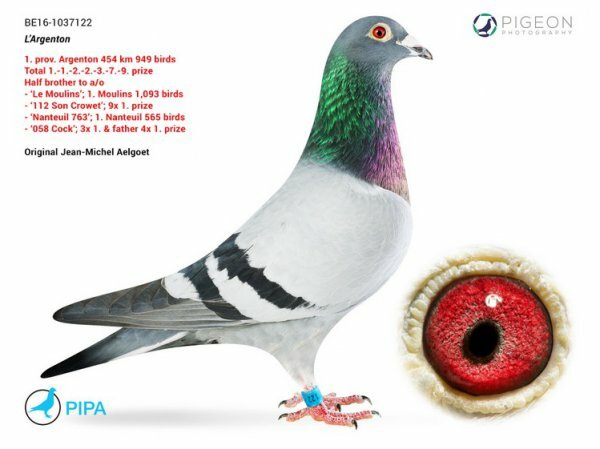 Prov Moulins 664 p., He is himself a son of a former basic pigeon, 'L'Ancêtre' (local strains). His mother is the BE11-9009643, a granddaughter of the Crack BE06-9048617 crossed once again on some local strains. We would like to congratulate Jean-Michel for his excellent season in 2018 and we wish him all the best for 2019!